Howie Carr’s Coffee Mug Not Worth Beans. Honest. 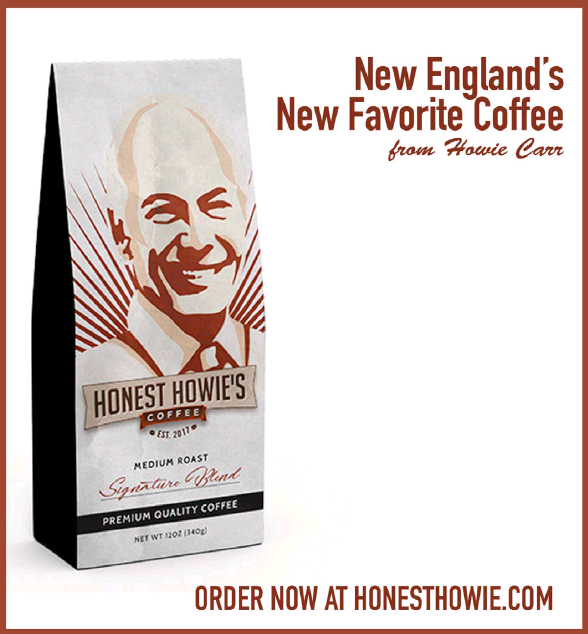 As the hardbeaning staff noted the other day, Boston Herald columnist Howie Carr has introduced a line of coffee that he claims is New England’s New Favorite. From Adam Gaffin’s essential Universal Hub. And then there’s this, from sharp-eyed commenter Samantha. We actually would buy a coffee named “Hones Thowie,” but that’s neither here nor there. Meanwhile, who’s on Carr’s side? One person, apparently, on Twitter, but zero reviews on the Howie Store website. 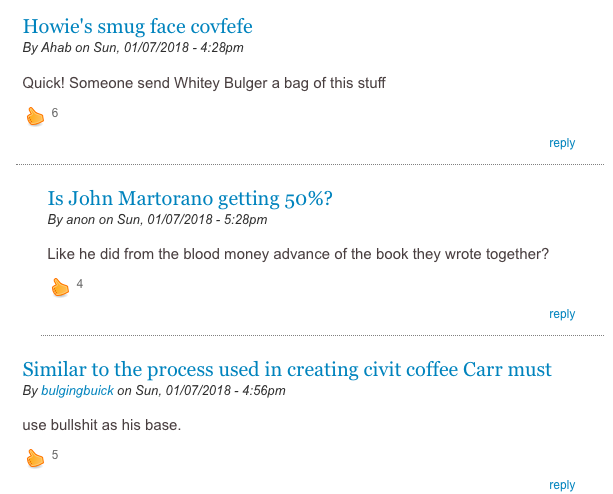 This entry was posted on Tuesday, January 9th, 2018 at 1:07 pm and is filed under Uncategorized. You can follow any responses to this entry through the RSS 2.0 feed. You can leave a response, or trackback from your own site.